This off-price store is one of the best places to find online shopping deals. Marshalls was established in 1956 in Framingham, Massachusetts on the East Coast. Now, Marshalls has over 1050 brick and mortar locations across the United States and Canada and an online store. This company’s main goal is to find brand name items, for less. Marshalls work by buying up manufacturers post season, overrun, and close out stock to pass on the savings to you. When you shop on this site, you will find everything you need. You can find clothing, shoes, and accessories for men, women, and children, and a large assortment of baby clothes and plus size clothing. You can also find home furnishings and decor. Shipping with Marshalls is a little different than most online stores. This company uses a third-party service called Borderlinx for their deliveries. Check out the Marshalls site to learn more but one thing you need to know is that with Borderlinx you can ship internationally, shipping is cheap, and taxes and duties are paid upfront so there are no surprises when your order arrives. Marshalls is one of the top clothing department stores for off-price family apparel and home design. Remember that this store has limited stock if you find something you love on the Marshalls website, grab it fast because the item you want might not be there when you come back. If you love online department stores like Marshalls because they’re a one-stop shop for everything you need, you’ll enjoy this list. Browse them all to find amazing fashion, cool things for your home, and discounted prices. Macys is one of the oldest department stores like Marshalls on our list. This company was founded in 1858 in New York City. Macy has 728 locations in the United States and an online store. Every year since 1924, Macy’s has conducted the annual Thanksgiving Day Parade in New York City and it’s supported the Fourth of July fireworks since 1976. 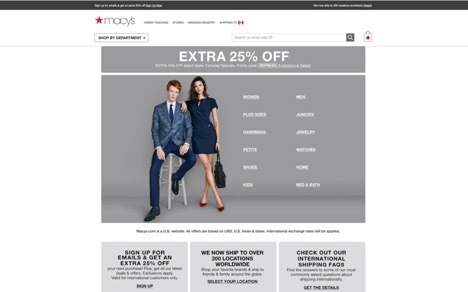 On the Macys website, you can find cheap dresses online, home furnishings and decor, clothing for men and kids, jewelry, baby clothes online, and more. This designer outlet online has discounts up to 40% off designer brands, international delivery to over 100 countries worldwide, and free shipping on most orders. JC Penny has quality apparel, cheap items for your home, and more. Everything on this site is very affordable. JC Penney is one of the major department stores like Marshalls on our list. JC Penney opened its doors for the first time in 1902. Since then, this store has flourished all over the United States. With over 1100 locations, JC Penney is really making its mark in the department store world. 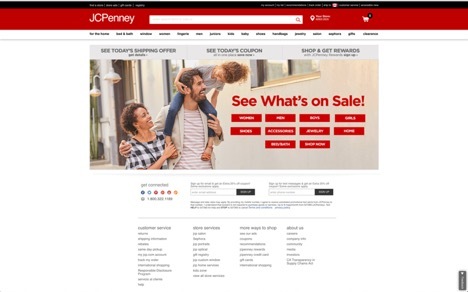 JC Penny has savings up to 70% retail cost, discounts when you spend more than a certain amount, extra savings on certain items, and free shipping within the United States. JC Penney is one of the best sites to find clothing and gifts for every member of your family. Target must be added to our list of stores like Marshalls. This company is the second largest discount store retailer on our list. Target is headquartered in Minneapolis, Minnesota and it has over 1,800 stores in the United States and Canada. This company sells men’s, kids, and women’s clothing online and things for every room of your home. Target is a great place to shop for home decor and gifts. The Target slogan is “Expect More, Pay Less” and they hit their target. 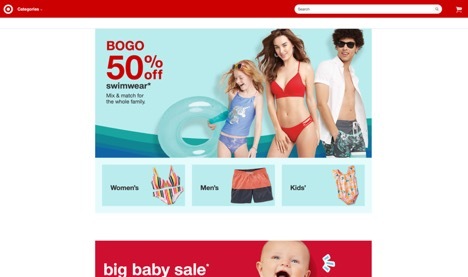 Target has a ton of BOGO (buy one, get one) deals, savings up to 80% off retail, free shipping on orders over $35, and affordable international shipping. If you want to save money without skimping on quality, check out Target now! Kohl’s was founded in 1962, in Milwaukee Wisconsin. Since then, it has opened more than 1,150 stores in the United States. Kohl’s started as a grocery store and 40 years later, it became a department store. This company has 12 private brands which include Croft & Barrow, Daisy Fuentes, and Mudd. 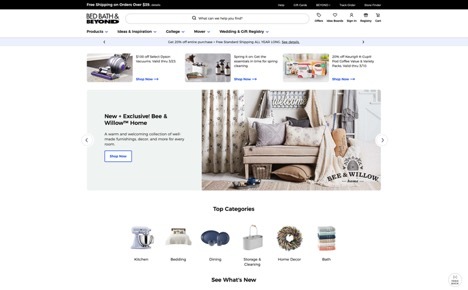 Kohl’s has everything from decor for your bathroom, to vacuums, to online shopping for men. If you’re looking for a one-stop shop for just about everything, check out Kohl’s. The free Kohl’s membership program discounts up to 80% off and free shipping on orders over $75 make this place even better. 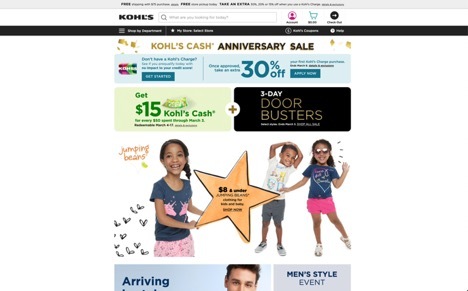 Kohl’s has some of the best department store sales you can find online, don’t miss out on the amazing savings. Bed Bath and Beyond is one of the best alternatives to Marshalls. This store sells home decor, trendy designs, and ultra-comfortable bedding. Bed Bath and Beyond have affordable and luxurious bedding, cutlery, window treatments, storage solutions, cookware, unique gifts, and more. This company has been around since 1971 and it has 1,504 locations in the United States Puerto Rico, Canada, and Mexico. This store can gift wrap your purchase for only $4.69 and free shipping is available for orders over $40. International delivery and their shipping rates are very reasonable. TJ Maxx must not be forgotten on our list of stores like Marshalls. This online department store has more than 1,100 locations throughout the United States and Canada. TJ Maxx has prices that are generally lower than all of the other stores mentioned above. TJ Maxx is partnered with companies like Home Sense and Sierra Trading Post. This addition to our list of online buying sites similar to Marshall’s has a large collection of jewelry and accessories and a ton of trendy and cheap fashion for men, women, and kids. You will also find a complete section just for babies. 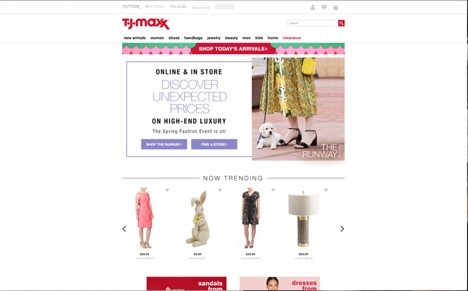 TJ Maxx offers free shipping on orders over $89, free returns, and low prices on everything.